The NET Bible is a completely new translation of the Bible with 60,932 translators’ notes! It was completed by more than 25 scholars – experts in the original biblical languages – who worked directly from the best currently available Hebrew, Aramaic, and Greek texts. This App allows you to experience the translation and all of the notes for free in a visually friendly and intuitive way. - Read the Bible like the book that it is, by swiping through its pages without worrying about chapter boundaries. - Tap the current passage title to change passages. 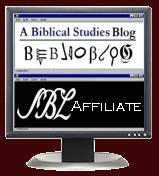 - Learn and grow by reading the 60,932 translators’ notes and the associated Bible cross references in popups. - Bookmark your favorite passages by tapping a verse number. - Take notes that are tied to verses, or just a date. - Sync your notes and bookmarks with net.bible.org and other iOS devices running this App. - See an indication of your notes when reading the text. - Search the bible using our fuzzy search that doesn't require you to know all of the words or even the translation it came from. - Share verses via Twitter, Facebook, Email, and Messaging by tapping a verse number. - Choose books by using a grid, canonical list, or alphabetical list of books. - Two-finger swipe left/right to navigate your history during sermons and Bible studies. - Change the font and size of the text.